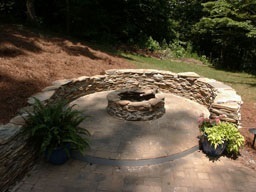 Upstate SC Landscaping Company for all your Back Yard Ideas and home landscape. Do you need back yard ideas for your home landscape? Wikipedia defines landscaping as: 'Landscaping your home landscape is both science and art, and requires good observation and design skills. A good landscaper understands the elements of nature and construction, and blends them accordingly.' We could not agree more. We believe Blue Dot Landscaping Company is simply the best source in upstate South Carolina for your landscaping and hardscaping needs. 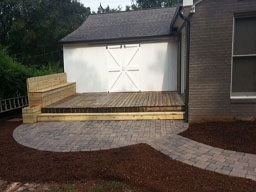 Rich Regan, owner of Blue Dot, has over 25 years experience in award winning home landscape design, installation and lawn maintenance in Greenville, SC and Spartanburg, SC. We are a small company that can do big jobs. We have completed projects as small as pruning a retired lady's shrubs for $50 to as large as commercial projects over $300,000. No matter the size or scope of the work you want, you will get our undivided attention and unrelenting attention to detail. Whether it is simply mowing your lawn or implementing your home landscape back yard ideas with a walkway or a fence, we always strive to do the job the correct way. We are the landscaping company you can trust. Home Landscape design: Every excellent project needs an excellent plan. We are experts at helping you plan your sustainable landscape with the best landscape design. We use Autocad for easy to read and to scale landscape plans. Our Landscape Architecture takes into account many factors. We have 25 years experience of watching what works. Learning what grows well in our environment and what does not. 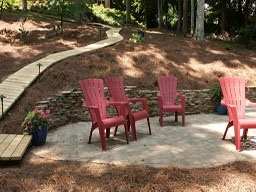 A huge factor in our home landscape design process is you. We listen to our customers to insure that the style and usability is what you want. We strive to include your favorite plants, but do so in a manner so that they will thrive. The 'sustainable landscape' term we take seriously. 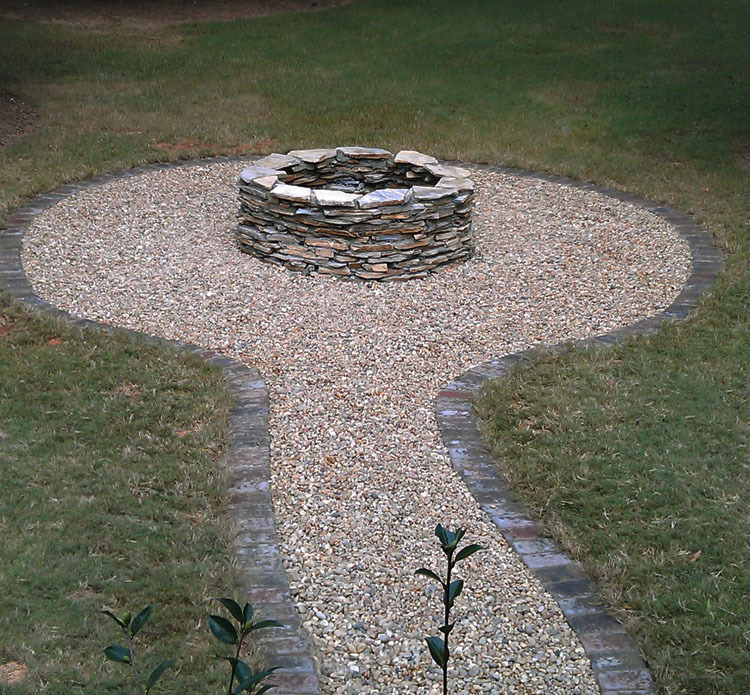 We don't want to include anything in your home landscape design that will not grow well and last many years. Lawn Irrigation Page: An absolute 'must have' in our area if you truly want the best landscape and lawn. We design and install your landscape irrigation system correctly - then we guarantee it for four years. Under the heading of something like Outdoor Living Spaces ... We custom design and build patios, walkways, outdoor kitchens, pergolas, firepits, seating walls and more. Our most common projects include brick pavers patios and walkways. 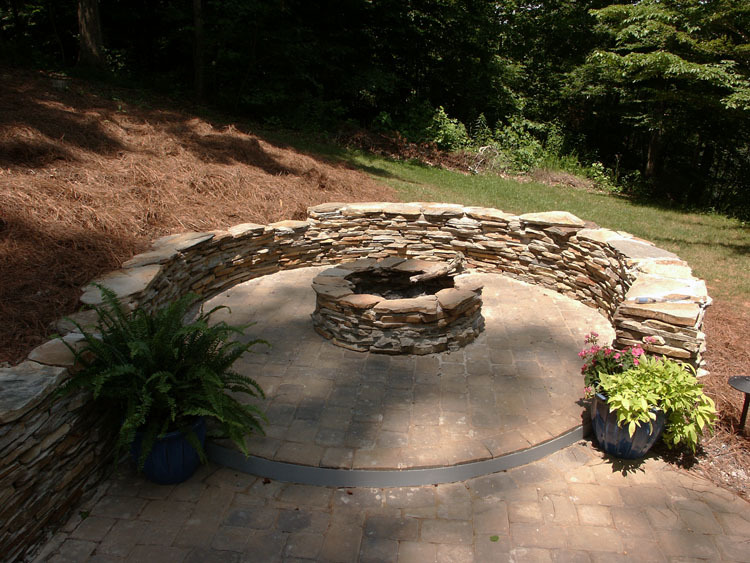 We also have done extensive amounts of rock work with things like stone sitting walls or flagstone pavers. 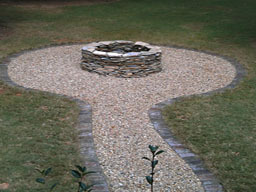 See our Hardscaping Page for a general overview. Parking areas and circular drives. Erosion control for steep slopes. Well or pond pumps for irrigation. We have borrowed the blue dot to signify that: By Hiring Blue Dot, You're on the Right Path. ** The actual hike took place September 3-5, 1993 in Pisgah National Forest near Brevard, NC. As with many hikes we wound up on several different trails for our journey. The one with the 'blue dot' was the Butter Gap Trail. Autocad generated and to scale. Professional drawings. Lawn irrigation systems by Rainbird, Hunter and Toro. Trees, flowering shrubs - planted the way they ought to be. Fescue, Bermuda, Zoysia - planted with seed or by sod. "Walkways and Patios. 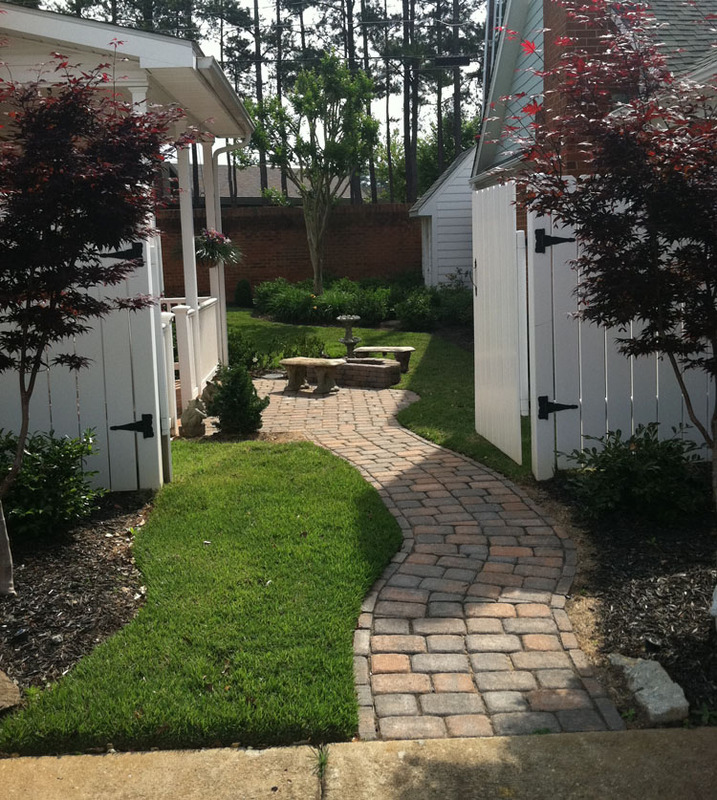 Brick pavers, stone and more! Koi Ponds, water falls, water features. Retaining Walls, retainer wall, segmental stone wall. 2011 Blue Dot Landscaping, LLC. All rights reserved.